The Mustang Mentors Program has completely turned my life around. The program is run by the Mustang Heritage Foundation (MHF), pairing an Armed Services veteran with a wild mustang and teaching the veteran how to gentle the Mustang, while at the same time teaching vocational and social skills. Most veterans with PTSD struggle with maintaining relationships, whether romantic or friendships. I know this because I was blessed with the opportunity to take part in this program and as a result all aspects of my life changed for the better. The program accepts veterans from any branch of service and unlike many programs you do NOT have to be a combat vet to apply. My name is Wilfred Sanchez SPC (RET) US Army. I enlisted on February 4, 2013 and was medically retired on October 30, 2015. I experienced the darkest day of my life on April 2, 2014. My unit (49th Transportation Battalion) was preparing for our upcoming deployment to Bagram, Afghanistan. That morning we went and drew RFI (deployment gear) and upon completion I returned to Battalion to get some of my work done. I was a 42A (Human Resource Specialist) so I worked at the Battalion level S1. Getting to the point, SPC Ivan Lopez came to our office requesting a certain type of leave that he was not authorized to take. Over the span of hours and after several arguments with his company First Sergeant, he left the building. As I walked into my NCOIC's (Non Commissioned Officer In Charge) office to ask what the final decision on the leave form was, Lopez returned to the building. He made a beeline straight for my NCOIC's office in which I, my NCOIC, and my First Line Supervisor were all located. He stopped at the threshold of the door, drew his weapon from his waist, and opened fire. My NCOIC was shot first, followed by my First Line Supervisor - the very first people to be shot in this entire ordeal. As Lopez was shooting, I moved into position to close the office door, barring his entry into the office. As he drew his aim towards me I was slamming the door shut. The door was still about one foot away from being closed when he shot me in the chest. I stared this man in the eyes as he pulled the trigger and attempted to murder me. The door slammed and locked, and after he tried getting in to no avail he left and continued his shooting spree. He went around the corner and dealt a fatal wound to SFC Daniel Ferguson, the S3 NCOIC that would always come chat with us over in the S1 Shop. I wanted to provide these details to provide context as to the events that led to me being diagnosed with PTSD (post-traumatic stress disorder). As a result of my closing the door, Lopez wasn't able to execute us as he obviously wanted. The Army awarded me with a Soldier's Medal, but honestly the pride I had from completing the Mustang Mentors Program was much greater than the amount of pride I had from being given a prestigious military award. Needless to say, I was on a very dark downward spiral before I learned about the Mustang Mentors Program. I was hesitant to apply for it because I had very little experience with horses and that thought made me pretty anxious, but I can say that applying was one of the best decisions of my life to date. Through the healing I gained from this program I'm now able to do things I thought I'd never be able to do comfortably again like: go to a crowded place like a mall or Walmart, or big social functions like football games, and I am completely comfortable networking and telling my story to folks I've never met. All these opportunities were opened to me by simply learning how to gentle a wild mustang. The Mustang Mentors Program runs three days a week from 0900-1500 and is completely free for the veteran. They transport the veterans up to Pauls Valley, Oklahoma and the veteran picks out the horse they want. The Mustang Mentors Program pays for the adoption fee but the paperwork is done in each respective veterans' name. Upon completion of the program, that Mustang belongs to the veteran. 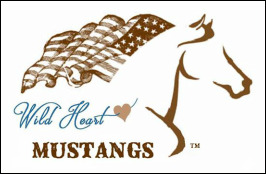 All the veterans have to do is transport themselves to the Mustang Heritage Foundation facility for those three days; lunch is provided on site and you never work the mustang without supervision by an MHF trainer. There is no requirement for the veteran to talk about their experiences in the military or anything that led to a diagnosis of PTSD. It's not certified as a therapeutic program, however any horse person you talk to can tell you how therapeutic the sole act of working with a horse can be. I believe this program serves the best of both worlds, not only as veterans find the healing they deserve, but in the process a Mustang also finds a loving home and owner. At this time the program is funded by private donations. The frequency and amount of donations determines the number of veterans who can go through the program, as well as the number of times the program can be run. My goal as just just a random veteran who has gone through the program is to try to help it grow and make an impact on as many lives as possible. Thank you for allowing me to share my story. If there are any additional questions you can consult the mustangheritagefoundation.org website, click on the Mustang Mentors for Veterans link and scroll to the bottom for contact information. ​Hello. My name is Larrison Manygoats. 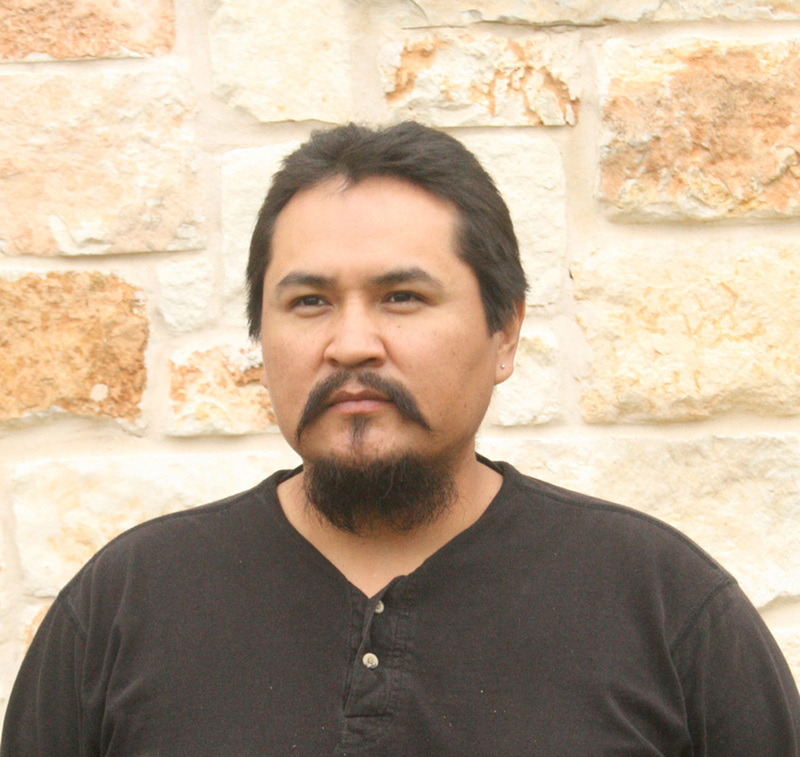 I am from Coalmine Canyon, Arizona on the Navajo Indian Reservation. I'm medically retired from the U.S. Army and 10 years prior service with the United States Marine Corps. After being discharged from service, I was introduced to this new pilot program, Mustang Mentors, sponsored by the Mustang Heritage Foundation. A friend of mine told me how cool it was and how it was way different from just going to a counselor or behavioral therapist. My friend went on to say, this program is at your own pace, understanding, and a more comfortable environment than just being in a hospital or at home getting fat on prescription pills. No one questions you about your experiences during wartime or other military service, or analyzes your behavior. One time I experienced a flashback and found myself standing next to Teesh (my Mustang during the program), slowly breathing and tucking my chin in. I've experienced multiple IEDs (improvised explosive devices), on the ground and inside gun platforms, during my time in Iraq. I was always told by my betters in the Marine Corps to keep your mouth slightly opened and let the concussion of the blast pass through. Never close your mouth because the blast will snap your neck and kill you. At that moment with Teesh, when that cool breeze came, I closed my eyes and tensed up. That's when Teesh woke me up. He was standing right next to me with his head right over my shoulder. He realized that I wasn't myself and I was experiencing something from a different time. He shook his head for a few seconds and blew air from his nostrils. From that moment on, I had greater respect for my four-legged friend and had a closer relationship with him. My PTSD has surfaced from deep within and the horse woke me up to it. It was a personal experience and something that will always sit in the back of my mind. The title, Mustang Mentor Program, speaks for itself helping veterans with traumatic issues experienced during their time in military service. The ride doesn't end at the Mustang Mentor Program, it continues on with the Extreme Mustang Makeover and whatever truth you've experienced. The real change is thyself. John E. Durosko - M/SGT US Airforce (approx. 1941-1962) Served in the Merchant Marine before joining the Army Air Corp. While in the Merchant Marine, he was torpedoed in the Atlantic. He rode the Victory Ships. Ted Durosko - M/SGT USArmy (approx. 1941-1948/9) Radio operator and part of the American forces in Japan after Japan surrendered. Russel and his "baby sister" Sue at her 88th birthday party. Russel Sexton enlisted in the US Navy in August 1942 and attended the Naval Station Great Lakes in North Chicago. He was a Gunners Mate 3rd Class - Armed Guard crew of the SS James B. Richardson (Sep 16, 1943 – Oct 28, 1944) and Liberty ship SS Elmer A. Sperry (Dec 1, 1944 – Feb 11, 1945). Russel was in Antwerp Belgium during the Battle of the Bulge. During this battle, due to weather, Allied planes could not fly to assist their troops who were trying to stop the German advance. Once the skies cleared, Russel said the sky was full of planes from horizon to horizon. He had never seen so many planes in the air…all headed to the front to help the troops in the battle. Also during the Battle of the Bulge, German fighters were dropping bombs on the ships in harbor in Antwerp. One bomb hit the pier near Russel. It blew horses and men into pieces and the concussion from the blast broke the ship next to his off its mooring. As one German pilot came by low, Russel and the German looked each other directly in the eye. Ships could not fire at the enemy aircraft so as not to hit civilian buildings. But once the German aircraft started climbing the shore batteries blew the plane to pieces. ​Russel always felt that he was the last person the German pilot every saw alive. Russel fought mainly in the Atlantic, but after the Germans surrendered (May 7, 1945) he went to the Pacific Theater and was in the Philippines Manila Harbor when the Japanese surrendered (Aug 15, 1945). The harbor was full of ships and fully loaded waiting to invade Japan if they did not surrender. 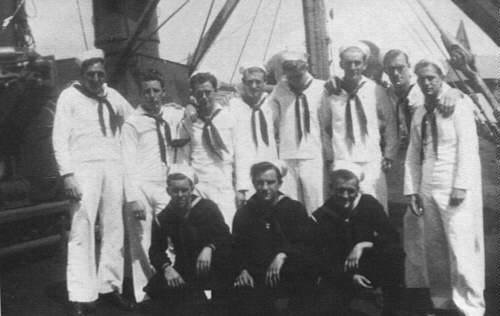 In Manila Harbor after the Japanese surrendered his crew and other ships crews were instructed to throw all munitions overboard. They were not given a reason why. After the war, Russel sailed into San Francisco where he then took a train back home to Endicott, NY. In the photo above, Russel is in the back row, second from the left. Russel Sexton was a very special man, described by loved ones as a “man’s man” who loved and lived the outdoors. He was a man of few words, but when he had something to say, he had no worries about how he said it. Russel called it like he saw it – there was never any wondering what was on his mind. His candor and “realness” was refreshing and I think most of us could learn a lot from the way he lived his life. He embraced each and every day for 94 years – always looking ahead with a smile on his face. Thank you, Russel, for enriching the lives of all of us who are blessed to call you friend. Mustang Mentors (Texas) - The Mustang Mentor Program supports Veterans through providing a wild horse training experience. With the help of the Mustang Heritage Foundation, veterans choose a Bureau of Land Management wild horse, untouched by humans, and transform the horse in approximately 100 days to a gentle, adoptable animal. The veteran experiences the transformation from "wild to mild" within the horse. The previously wild horses are then placed into adoptive homes. Veterans learn marketable vocational skills and gain on the job training for a future occupation in the equine industry, if they choose.